The Hempfield School District is composed of East and West Hempfield Townships, and the boroughs of Mountville and East Petersburg. The small towns of Landisville and Rohrerstown are also part of the district. The Pennsylvania Dutch heritage is a part of the Hempfield area and farms still dot the landscape, however a development in business industry has caused tremendous growth in the area. Some strides have been made to control growth and direct it to appropriate areas in order to preserve farmland and natural areas. There are numerous neighborhoods in the district; popular locations include Centerville, Donnerville, Florys Mill, Landisville, Mechanicsville, Rohrerstown, Wheatland, Chestnut Hill, Columbia, Farmdale, Ironville, Kinderhook, Klinesville, Mountville, Oyster Point, Salunga and Silver Spring. Residents enjoy various recreational activities at the areas’ many parks, including the 56-acre Amos Herr Park located off Harrisburg Pike on Nissley Road. This is also the site of the East Hempfield Township Municipal Building. The park hosts an Annual Country Fair and the Annual Antique and Classic Car Show each year. Residents and visitors may also take advantage of the opportunities provided by the local Hempfield Area Recreation Commission. The HARC is a non-profit organization committed to improving the quality of life for citizens of all ages by providing a variety of recreational and fitness activities. 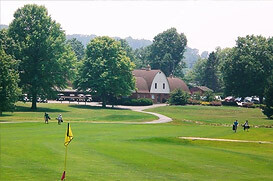 Plus, East Hempfield Township became the first municipality in Lancaster County to own a golf course when it purchased the Four Seasons Golf Course and surrounding open space in 1989. The 220-acre site is located east of Church Street and north of Stony Battery Road, south of Landisville. The purchase gave the Township, a fully-equipped, 18-hole, 121- acre golf course in addition to more than 80 acres of open and recreational space.